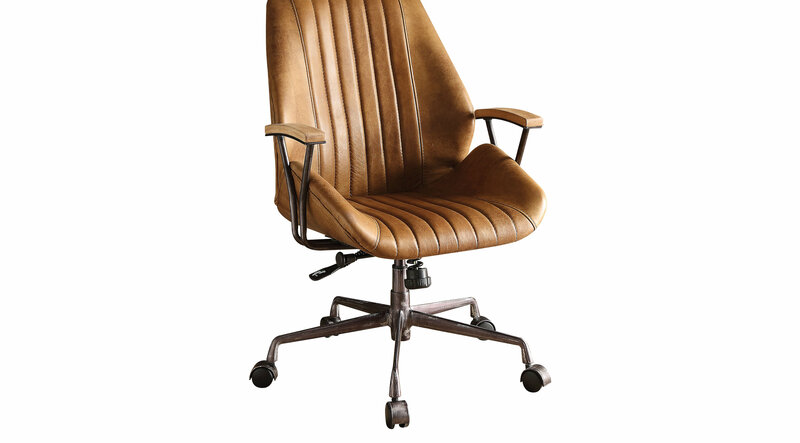 Add an edgy industrial style to your home office with the Earnest tan desk chair. This swivel chair with an adjustable seat height of 18 inches to 23 inches has a tan colored leather upholstery with cushioned long stitched stripes on the seat and back. The five-star base with casters and metal fraed armrests promise comfort and function to a stylish chair.